Wimbledon’s Championship Courts require around 15 months of prep before the Championship kicks off, with continual maintenance and attention from 16 permanent ground staff. If you’d like to get your tennis court looking Wimbledon-worthy without the hefty budget or full-time groundskeepers here are our top tips. The Centre Court is pampered with three mows a week, upped to daily mowing as the Championship nears. Daily cuttings may be excessive for your local tennis court, but we would recommend mowing about three times a week towards the busy tennis period. 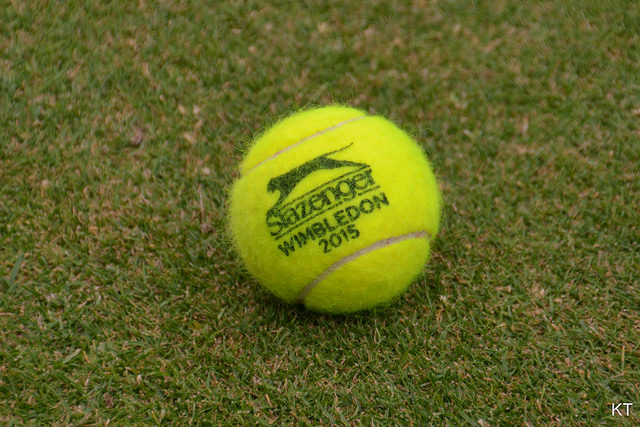 Keeping with Wimbledon’s guidelines, tennis court grass should be cut to 15mm and maintained throughout the winter. When the tennis season begins, the ideal playing height of grass is 8mm. Alongside regular mowing, you should keep the grass strong with extra nutrients. These nutrients will fortify the grass to withstand the extra people using the courts during the summer months. For those local tennis clubs without the permanent Wimbledon ground staff, summer lawn feed is easy to apply to the whole court while providing an even coverage. Another ideal product is our ‘Cold Pressed’ Liquid Seaweed, which encourages healthy grass that is more drought and frost resistant. This is essential for grass that needs to be kept short, and therefore more susceptible to the weather. When choosing lawn feed, the season should be considered to provide the best tailored care for the weather conditions. High quality lawn feed also contains magnesium which produces chlorophyll to give your tennis grass its rich green colour in the warmer months. Whether it’s summer or winter, your tennis courts should be watered to help the grass grow and mature. However, Wimbledon restrict the water just before the Championship begins to firm up the ground and then add more water in the early hours during the season to make sure the grass stays alive. During the summer, you should aim to water the court just before dawn to avoid the sun’s heat however watering in the day is better than not watering at all. Avoid watering in the evening, as excess water will not be evaporated by the sun, and can encourage disease. If you must water in the evenings, do not over water so you have standing puddles. For further advice or to find out how Proctor’s products can help you achieve top quality sports grass, please visit our online shop or give us a call on 0117 311 1217. 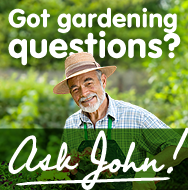 Alternatively, you can Ask John.